I remembered I had some beautiful oriental paper that I bought in San Jose a couple of years ago. This paper is pretty thick….so I didn’t double it, but I did use an iron on pellon to make it a bit stiffer and more sturdy. I absolutely LOVE the color yellow…and this little bag is adorable…with its brown grossgrain ribbon and little pink rivets that the ribbon goes through. I forgot to mention the size of the bag in my last post. 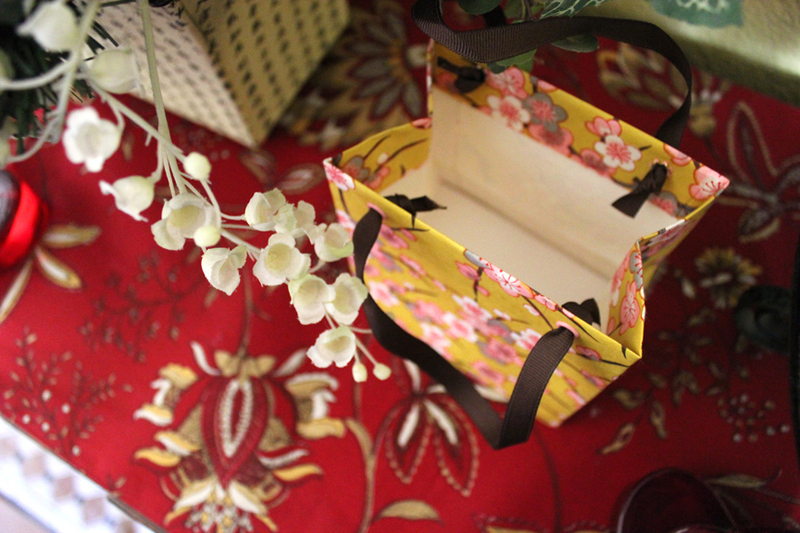 The bag measures 5 inches tall x 4.5 inches wide x 3 inches deep. Click on the pictures to enlarge for better viewing. This entry was posted on Saturday, March 5th, 2011 at 3:21 pm and is filed under Uncategorized. You can follow any responses to this entry through the RSS 2.0 feed. You can leave a response, or trackback from your own site. I absolutely ADORE these bags. 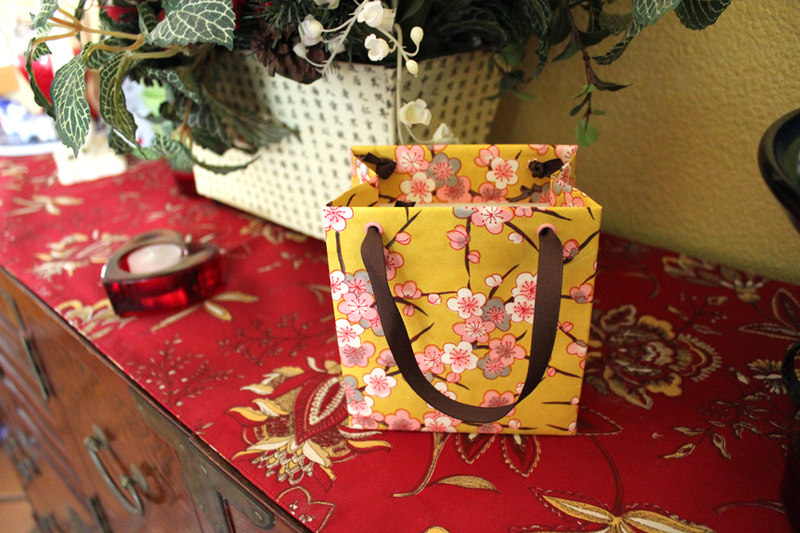 Love the yellow, love the pattern, love the ribbon– love it all!